We are holding drop-in surgery events in the north west so you can ask questions about the project and have an opportunity to have a 1-2-1 conversation with us. High Speed Two (HS2) is the new high speed railway for Britain. This event is an opportunity for you to find out more about the project and what it means for your local area. Plans for the new railway between Crewe and Manchester are at an early stage. 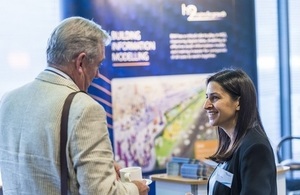 However, based on HS2’s plans for the London to West Midlands and West Midlands to Crewe routes, we can explain what the next steps will be, and how you can have your say in future. At this stage, we will not be able to provide any further information about where the route between Crewe and Manchester will run. As soon as we have this information, we will make it available to you on our website and through your local representatives and will communicate widely through a number of channels. We will also hold more in-depth information events and a public consultation after the route announcement. These drop-in surgeries provide an opportunity for you to ask specific questions relating to your area, and in particular about your own circumstances. We can provide guidance on the property and compensation measures that are available now and are likely to be in place once a route has been announced, later this year. 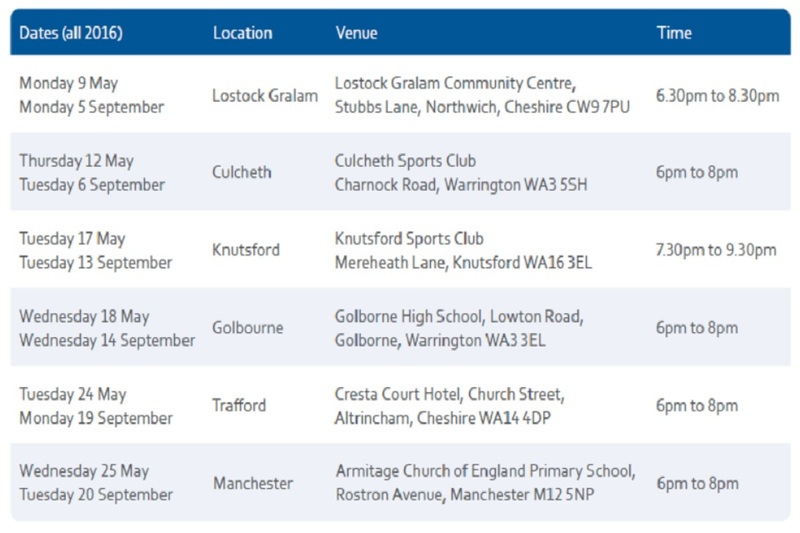 Events will run over three weeks in September, in the evening at different locations within Cheshire and Greater Manchester. Please see the table below for more information. For any additional queries, please contact the HS2 Helpdesk via telephone or email.